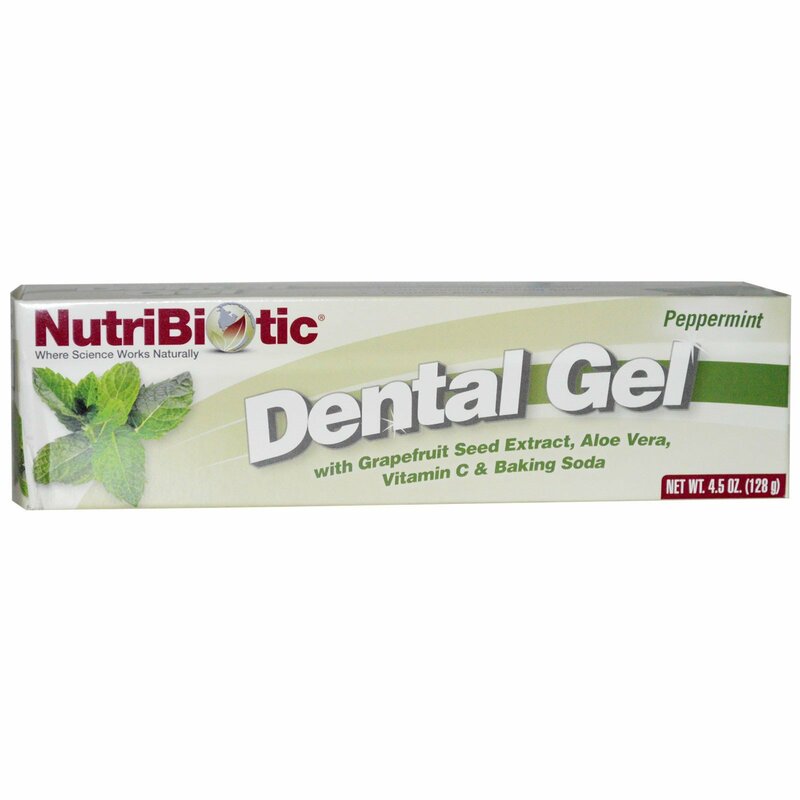 NutriBiotic Dental Gel tastes great and successfully combines the finest ingredients from gentle folk healing with the best of modern science: healing aloe vera, tissue strengthening vitamin C, teeth whitening baking soda, bone building boron and calcium, the antioxidant vitamin E, and the health promoting properties of grapefruit seed extract. Daily use of NutriBiotic Dental Gel makes for a brighter, happier smile. 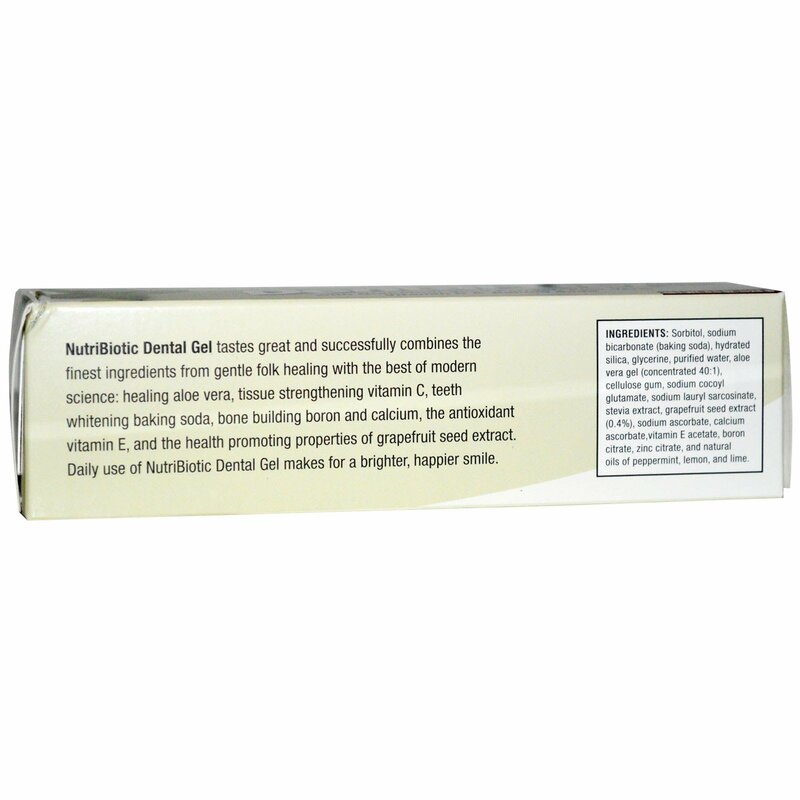 Sorbitol, sodium bicarbonate (baking soda), hydrated silica, glycerine, purified water, aloe vera gel (concentrated 40:1), cellulose gum, sodium cocoyl glutamate, sodium lauryl sarcosinate, stevia extract, grapefruit seed extract (0.4%), sodium ascorbate, calcium ascorbate, vitamin E acetate, boron citrate, zinc citrate, and natural oils of peppermint, lemon and lime. Do not use if inner safety seal is broken or missing.